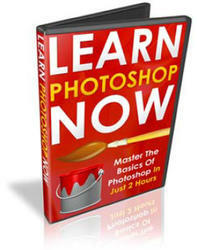 As you work in Photoshop and use its various tools and commands, you are presented with the opportunity of creating your very own new brushes, contours, custom shapes, gradients, patterns, preset tools, styles, and swatches. Furthermore, you can add to your collection by loading sets, also called libraries, created by other kind, generous folk. You can find some of these sets by taking a look at the links to related Web sites offered on the companion Web site for this book at www.wiley.com/go/extremetech. Photoshop keeps track of any new additions to the palettes, lets you save them to disk for safekeeping, and loads them into memory when you launch it. However, the palettes that keep track of the preset items do not let you rearrange the items. Wouldn't it be nice if you could organize a palette's content just the way you prefer to see it? Enter the Preset Manager. Its only raison d'etre is to let you organize all the libraries in one convenient place. 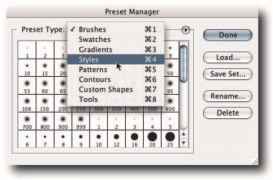 To open the Preset Manager, choose Edit ^ Preset Manager. When the dialog box opens, select a library from the Preset Type pop-up menu at the top of the dialog box (Figure 2-21) that you would like to reorganize. Figure 2-21: You can organize eight sets of libraries in the Preset Manager. ■ Selecting—You can select thumbnails in the usual manner by Ctrl-clicking to add/ subtract from a selection (Windows), ^-clicking (Mac OS). Shift-clicking selects multiple contiguous items. ■ Moving and Deleting—After you've selected them, you can move thumbnails around or delete them. To move, simply select and then drag and drop. To delete single thumbnails, hold down Alt (Windows), Opt (Mac OS) and click the thumbnail when the cursor icon turns to a scissors. To delete multiple items, select and then click the Delete button. The contextual menu may also be used to delete items. ■ Creating New Libraries—You can also create new libraries by selecting items and then saving them with the Save Set button. Make sure that you save them in the default Color Swatches folder located inside the Photoshop program folder if you want Photoshop to see the set and to give you the option of loading it from the palette menu. 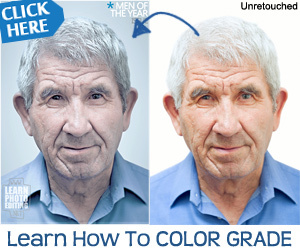 NOTE You must quit and launch Photoshop again before the new set appears as an item in the palette pop-up menu. ■ Renaming Libraries—To rename any of the preset items, double-click the thumbnail, or its name if you're viewing in text or list mode, and enter the new name in the Brush Rename pop-up dialog box. Alternatively, select the item, click the Rename button, and then rename it in the Brush Rename dialog box. If you want to rename multiple items, select them and then click the Rename button; Photoshop will cycle through them all one by one. The contextual menu may also be used to rename items. ■ Storing/Loading Presets—Photoshop stores the presets in the ~\Adobe Photoshop CS2\Presets folders. You can rename sets or drop custom sets or files into the appropriate folder that you may have downloaded from the Internet. When you relaunch Photoshop, you will be able to select the renamed or added sets from the corresponding palette menu. For example, drop an .atn file into the Photoshop Actions folder, relaunch Photoshop, and then load the action set from the Actions palette menu.